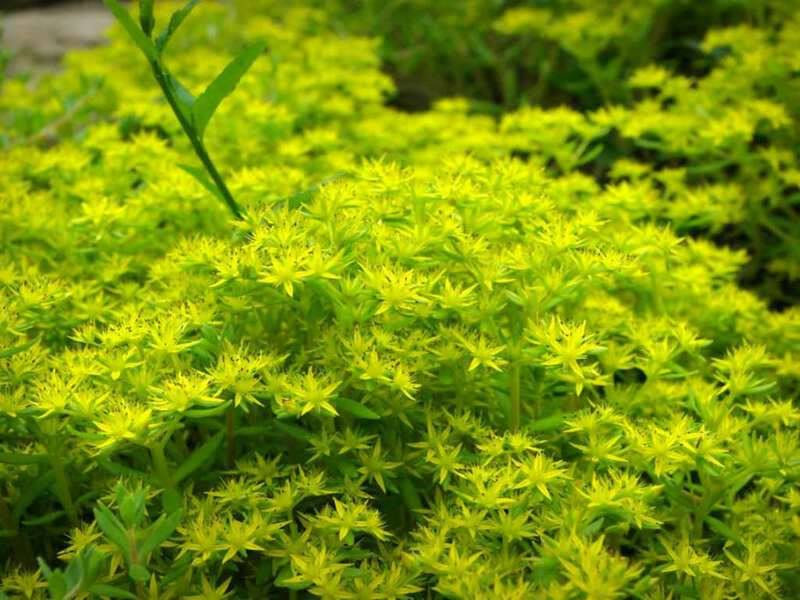 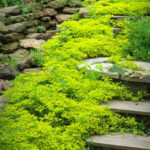 Sedum sarmentosum is a perennial plant with sprawling leafy stems up to 10 inches (25 cm) long and 6 inches (15 cm) high. 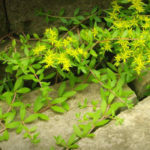 The stems are light green to pale purple. 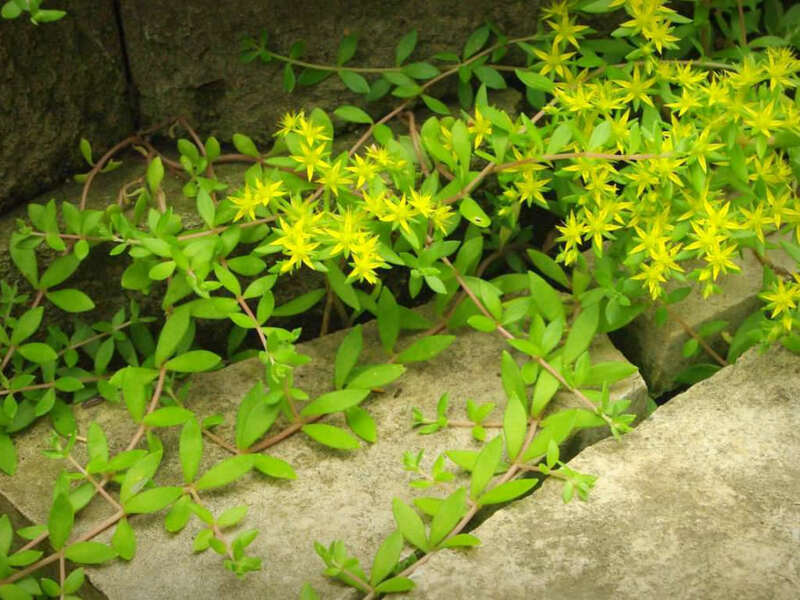 The fleshy leaves are arranged in whorls of 3 at intervals along the stem. 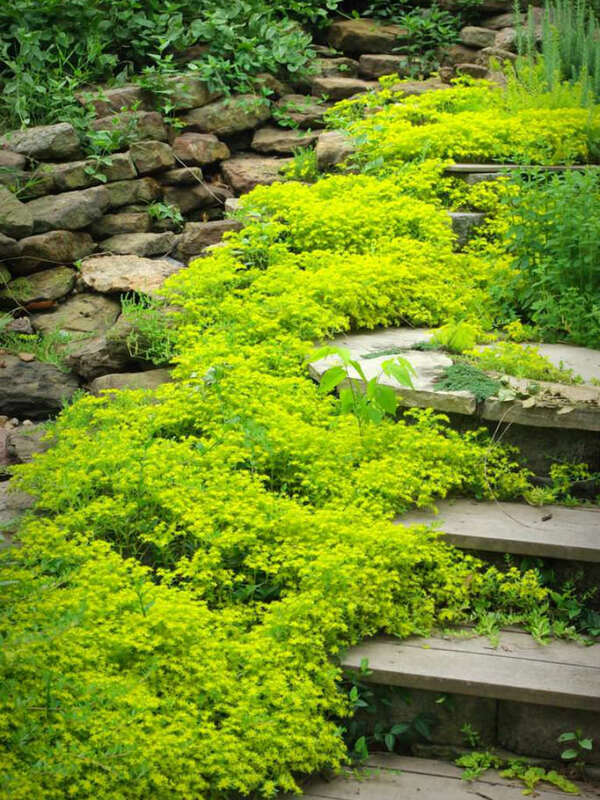 Each leaf is up to 1 inch (2.5 cm) long and 0.25 inch (0.6 cm) across, elliptic to narrowly lanceolate in shape and bright green in color. 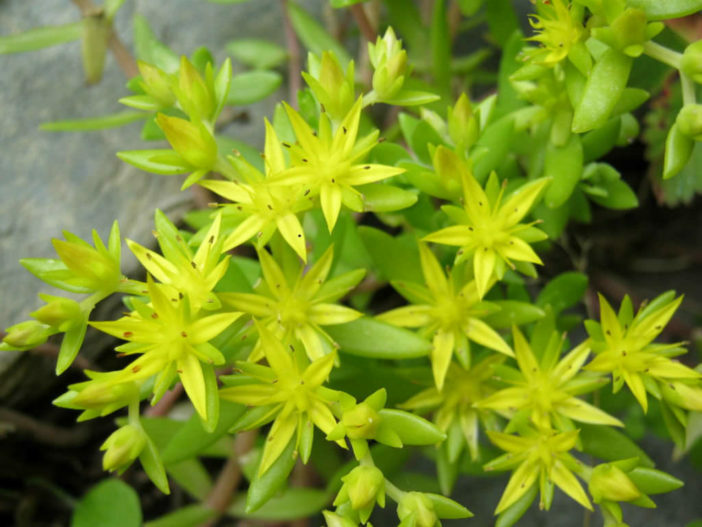 The star-shaped flowers are bright greenish-yellow in color and about 0.5 inch (1.3 cm) in diameter. 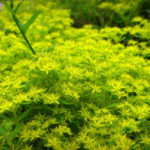 Native to Asia (China, Korea, Thailand).